Things are finally looking up for the Resistance. 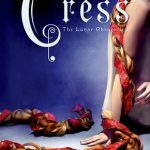 Sure, Alessa is still processing the revelation that the best friend she'd presumed dead is miraculously alive, though far from well... And her boyfriend is being manipulated under threat of blackmail. But her quest for justice against those behind the systematic extermination of the world population is so close to victory she can taste it. The long-awaited final installment in the riveting Stitch Trilogy, Stuck will have readers gripping their seats as Alessa and a handful of intrepid survivors usher their harrowing journey to a close, risking everything as they endeavor - once and for all - to set things right. From the concept to the resistance I’ve enjoyed this trilogy. We have the Resistance, Paragon, and deadly creatures. Weave in propaganda and secrets on both sides and you’ve got the makings of an intrigue storyline. Alessa’s mother leads the resistance but recent events have her questioning everything and planning a revolt. I loved all the twists and the unexpected development that shake the core characters. We learn more about events in Paragon and see examples of the propaganda those in charge share. The tale was addictive and perfectly paced. I loved getting the different POVs and from both sides. For me it helped amp up the suspense and shock. The science fiction elements and strong characters enhance the storyline. The author made the story feel plausible, and developments within Paragon felt all too real. As cool as the concept and world-building was, it was the characters who stepped up, sacrificed, and allowed me to become emotionally connected. I laughed, got angry and cried. Yep, I cried. 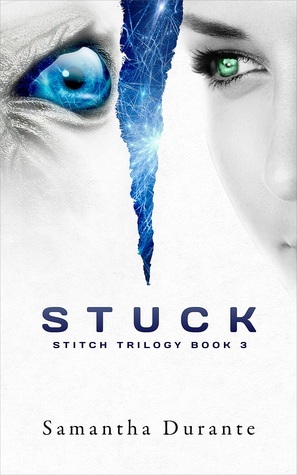 If you haven’t yet discovered the Stitch Trilogy, now is the time to devour the series. Shudder delivered on the ending and I’d like to go back and read the trilogy all over again. I did a bookstagram tour for the 3rd in series – it made me grab all of them. I really want to read this series soon. I’m not familiar with this series at all. I’m going to have to look it up. Great review. 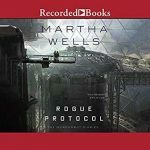 I am always a bit nervous when getting back to a series when you’ve read so many books since and worrying that I have forgotten something or won’t be able to connect. I am glad it worked out well for you here though. If you could laugh and cry with a book, then you know it’s a good one. Glad you enjoyed the ending of this one! I loved this series. Glad to see it got you too. This sounds fantastic. I’ve been kind of craving science fiction, so definitely will be looking this one up. That’s so great that you were able to pick up the third book after such a long wait and not have any problems jumping right back into the world. This series is new to me but it sounds great. That’s quite a wait for the next book! This does sound like quite the page turner and I’m intrigued! I haven’t read much YA but the YA dystopian I’ve read I’ve really enjoyed. I’m always so mixed when it comes to the final book in a series. On one hand, I’m so excited to see how it ends. On the other, I’m so bummed the ride is over, and I ‘m a little worried it won’t have a great ending. Often times, I’ll buy but won’t read the final book for months. I think I waited an entire year to read Sentinel (Jennifer Armentrout, Covenant series.) I’m glad this was a nice conclusion for you. Wow! Five years! That is a long wait. I am glad that you were still able to connect after all that time. Sounds like a great series. It was a long wait for the end of this series. And so worth it! When I got my hands on this I went back and started the series from the beginning, reading one right after the other. It sure packed a punch! 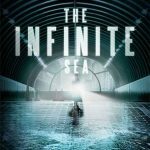 Awesome review, Kimberly, for an awesome series. Oooo this cover is crazy creepy in a a way, I love it! So glad this was such a great read Kim that doesn’t always happen with last book. Glad the characters really stood out and made all the difference, love when that happens! Wow 5 years! That’s awesome that you were able to follow through. I remember this series a lot back in the day. Glad you enjoyed it!